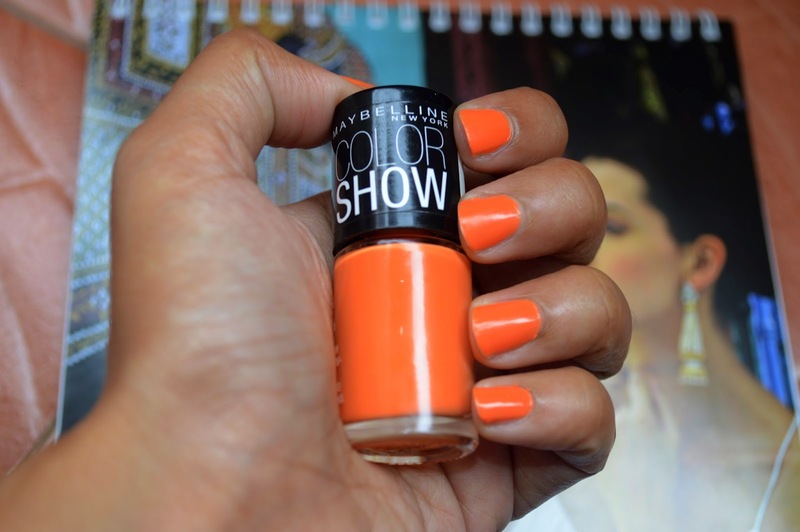 Maybelline color show is the most affordable range of nail polishes available which offer a variety of colours. They are available online( here and here) or could be bought from any maybelline counter near you. 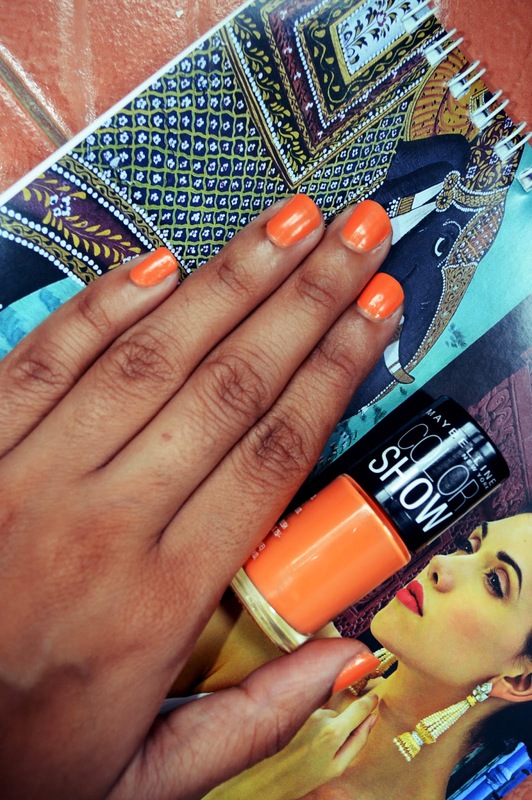 Tangerine Treat 406 is a bright orange colour which is perfect for holidays. Its not a colour most women would like to wear daily to offices or other other work places but if your a college student it can add a great pop of colour to your look. Talking about the texture, it has a smooth and glossy finish. I applied two coats to get an opaque look without a top coat. The application was also quite smooth and it dried off very quickly.